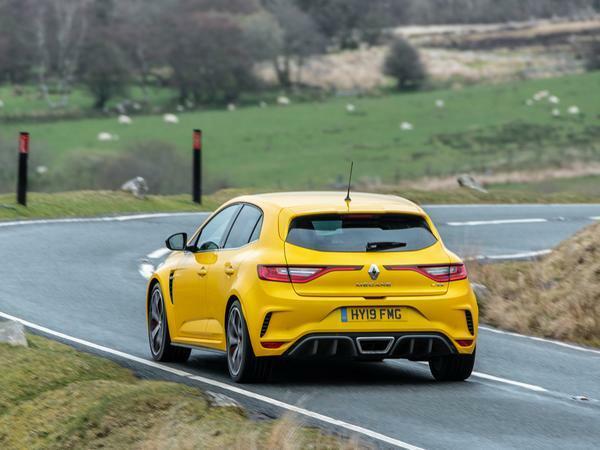 Home > Features > Features > Renault Megane RS 300 Trophy: PH Trade-Off! The Trophy rights some of the Megane's wrongs - but can we find a similarly focussed hot hatch for half its cost? It should come as no surprise, really. In fact, hasn't it (almost) always been the way with Renault Sports that, shortly after the arrival of a new model that hasn't been met with complete approbation, a Trophy version turns up that cures most, if not all of the issues? 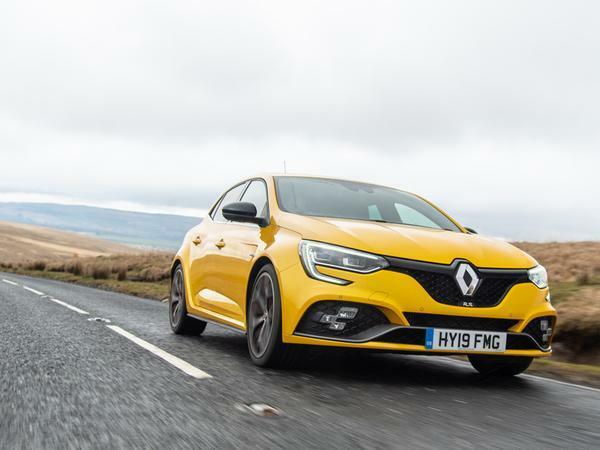 So the fact that the new Megane Trophy delivered a decisive smiles-per-mile win over the Volkswagen Golf TCR in our latest twin-test this week is, really, business as usual. "The Golf is the more complete car, and therefore the one to recommend to 80 per cent of people who ask your opinion on 'buying a hot hatch' because it possesses that uncanny ability to just sort of do everything well," explained Mr Bird. "But as enthusiasts - and representing the 20 per cent that rate thrill over contentment - the Megane takes it. There are flaws, of that there can be little doubt, but there's a greater level of intrigue, challenge and reward, too." Sounds rather closer to the familiar Megane formula of driving enjoyment than before, which is splendid news for anyone who can stretch to the Trophy's £31,810 asking price. But what if you can't? Well that, dear reader, sounds like a job for the PH Trade-Off! For our half-price budget, the obvious solution would be 'an older Megane'. An excellent suggestion, of course, but as is the Trade-Off way, we're not going to settle for the obvious solution. Instead, how about this SEAT Leon Cupra 290? It's on for the distinctly agreeable price of £15,698, though there's a catch, which is the mileage. Some lucky soul's managed to cover 47,000-odd miles in this Cupra in the last three years which, let's face it, rather sticks it to everyone else trundling up and down the M1 in their diesel Insignias. Immense grip and phenomenal power come as standard, of course - the Cupra will match our Megane to 62mph despite being down 10hp. But... well, is the Leon Cupra really good enough to provide an alternative to the Megane Trophy? Hmm. Given its ever-so-slightly remote steering and ever-so-slightly staid chassis setup, perhaps not. So let's take a suggestion from well out of left-field instead. They say they don't make 'em like they used to, and that's certainly true of cars like this Lancia Delta Integrale 16v. It rather goes without saying that this will, of course, provide a vastly different driving experience to the Megane, with four-wheel drive, hydraulic power steering, and a rally-bred rather than track-focused chassis setup, making it a little softer around the edges but just as agile - and of course, no less able to cover ground at a staggering rate. What's even more astounding is that the Delta should make a pretty good fist of keeping up with the Megane, despite being 30 years its senior and 100hp down on power, hitting 60mph in anywhere between 5.7 and 6.0 seconds, depending on who you believe. If you're bored of modern hot hatches with their chunky plastics, layers of sound-deadening and vaguely artificial air, this could be the perfect antidote. 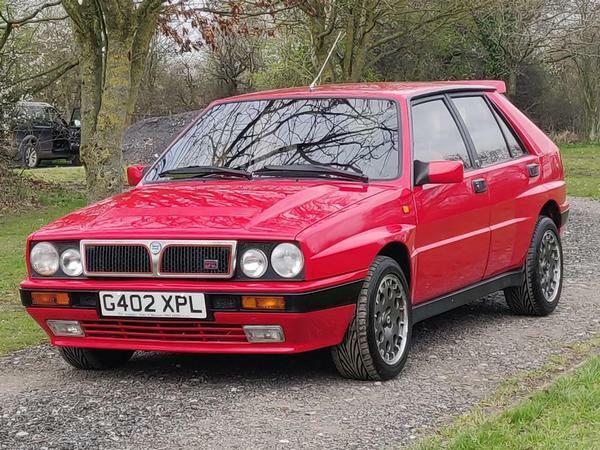 Of course, it's also a 1989 Lancia, and as such, it's probably not the kind of car that's going to appeal to someone in the market for a 2019 Megane Renault Sport. So let's see if we can find something a little more realistic, shall we? Ah, here we go. 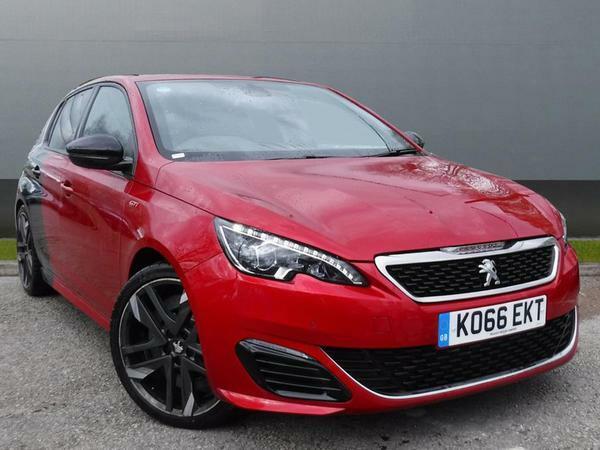 This Peugeot 308 GTI by Peugeot Sport should do the trick. The by Peugeot Sport was Peugeot's attempt to pull off the same trick as Renault did with the Megane Trophy, adding more whoomph to a car that was derided as disappointingly lacking in... well, whoomph. It was so well received, in fact, that by the time the 2017 facelift came along, the standard car was dropped altogether, leaving this 270hp version as the only model in the range. 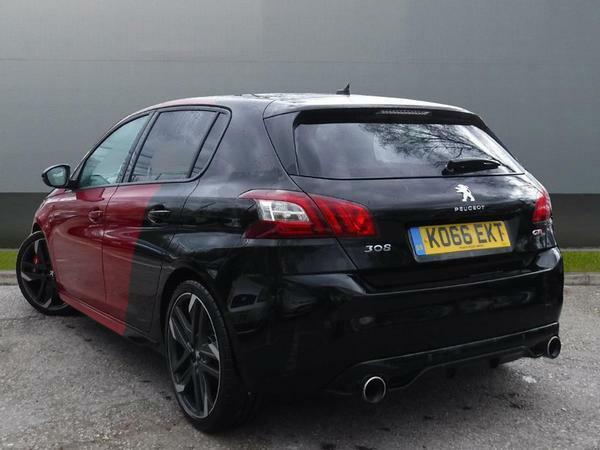 It can't quite keep a Megane honest in a straight line but in the twisty bits, the 308 GTI should do a decent job. It's far more entertaining to drive than its reputation would have you believe, and while its diff isn't quite as aggressive nor its nose quite as bite-y, it'll still flow along a sinuous B-road in just as satisfying a manner. The biggest reason it's here, though, is value. This is a 2017 example - judging by the reg plate, it could be an early press car, though whether that's a good thing or a bad thing is subject to debate - that's covered just 21,000 miles, and would have cost around £30,000 when it was new; more, in fact, if you take into account options and that sure-to-be-fondly-remembered-one-day Coupe Franche paintwork. Yet today you can buy this very car for just £15,691. And while it gives away a degree of sharpness to the Megane, it should still be just as much fun 99 per cent of the time despite that fact. Given how comparatively cheap it is, would you really quibble over the extra 1 per cent? No, the answer really is a mk3 megane, it’s sure the pug is good but I’d be astonished if it performed like a mk3 when you are running at 9/10ths and above, the mk4 seems to share this trait. Had my 308 GTi for two years now, bought for a cracking price when it was one year old. You have to drive it hard to get the best out of it, but it has proved a fabulous all round car whether it's going to the tip, on a school run, my daily commute, or a country road blast. Is also been a blast on the track days I've taken it on. It's been reliable with a couple of small niggles sorted no questions by the dealer, and being a 1.6 it's not even bad on fuel. Two years is about all I normally keep a car for, but I genuinely wouldn't know what to replace it with that would be such a good all rounder.